Guy Russell manages the upkeep of our lovely Devonshire gardens at Lower Knapp… but when he’s not on land, he takes to the sea! For the past eight years Guy has been volunteering at the Sidmouth Lifeboat Station. He is now the senior coxswain for a crew of around 20 people. The Sidmouth Lifeboat is an incredibly important service that runs along the East Devon coast 365 days a year, 24 hours a day. Self-funded and completely independent, the lifeboat covers an area of approximately 150 square miles between Axmouth and Budleigh Salterton. The Sidmouth Lifeboat is constantly on call for anyone who may get into trouble off the coast in this designated area. For this reason the crew must be extremely dedicated and regular training is a necessity. 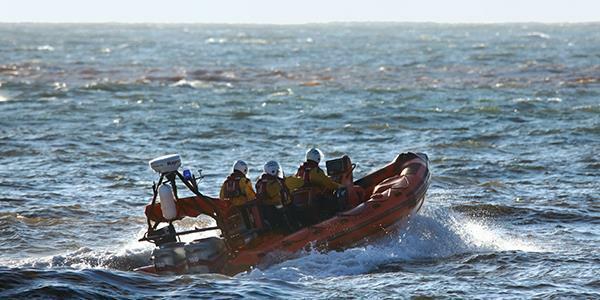 In the last five years alone, Sidmouth Lifeboat has had approximately 72 callouts and saved at least eight lives. It is certainly hoped that neither seafarers nor beach-loving guests require the lifeboat’s services any time soon. But it’s a great comfort to know that they are there on standby, just in case. The lifeboat is a part of the Independent Lifeboat Services of Britain and Ireland, which was established during the 18th century. Sidmouth Lifeboat is a registered charity, relying entirely upon funding from the community. We were delighted to be able to give the lifeboatmen £100 to cover the cost of the fuel used on a recent training morning. All of the money raised for them is used to keep the boat maintained and its crew equipped and trained. This year the Sidmouth Lifeboat will be taking part in the Sidmouth Sea Fest, and the crew are all looking forward to the celebration. It is a festival that is held annually and celebrates everything in, on and by the sea. 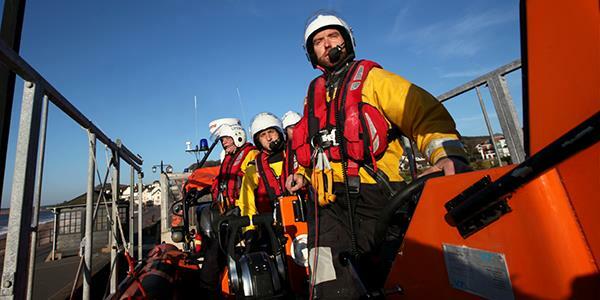 If you go along you’ll get to see demonstrations and footage of the lifeboat in action. Find out more about the Sidmouth Sea Fest on the website here. Or learn more about the charity on their website here.